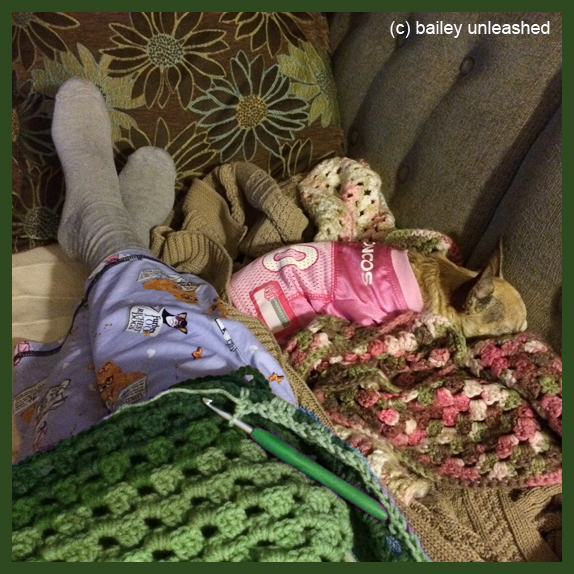 no matter how late i am up crocheting orders, little bailey is right there by my side. never one to complain, she just settles in on a pile of blankets and waits till i'm done for the night. I keep my momma company while she knits.